Yesterday was the 2nd annual Project Canaan Academy talent show and I was overwhelmed. Overwhelmed with joy that led to tears flowing down my face, that seemed unstoppable. You know that moment as a parent or family member who watches a child perform something on stage that they have been preparing for weeks, practicing lines, going over dance moves, or trying to remember their positions? I had that moment over and over again. 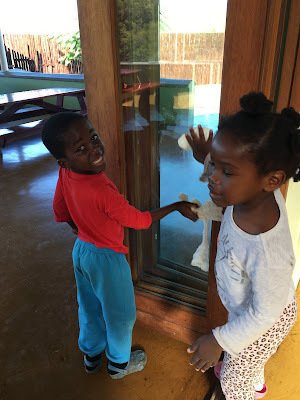 There were poems, ribbon dancing, singing and Swazi dancing, all followed by wild cheering from the proud Aunties, Uncles, teachers and visitors in the audience. But there were a few acts that specifically brought tears to my eyes. First, it was our Pre-Kindergarten children who did a waltz!! It was the cutest thing ever, especially with Deborah actually spinning Timothy rather than the other way around. Then there were “Emseni 5” kids with an incredibly well choreographed dance to the “Waka Waka” (It’s time for Africa) song, which brought the house down. It’s almost as much fun to watch the Aunties and Uncles jumping, dancing and clapping for joy as is it to watch the children on stage. But it certainly is the children that bring joy to my heart, and tears to my eyes. Students from teacher Leanna’s Kindergarten class performed a “signing dance” to the Kari Jobe version of “Revelation Song”, and that just took me out. Tears poured down my face as I tried to keep smiling so that the kids didn’t think I was sad. Being a proud parent of Spencer and Chloe has brought many tears of joy as they have performed in musical theater and other performance art events. Now that we have 193 more who we see living and thriving and overflowing with joy, I think I am going to have to drink a lot more water during the day to stay hydrated through my tears of joy that fall. 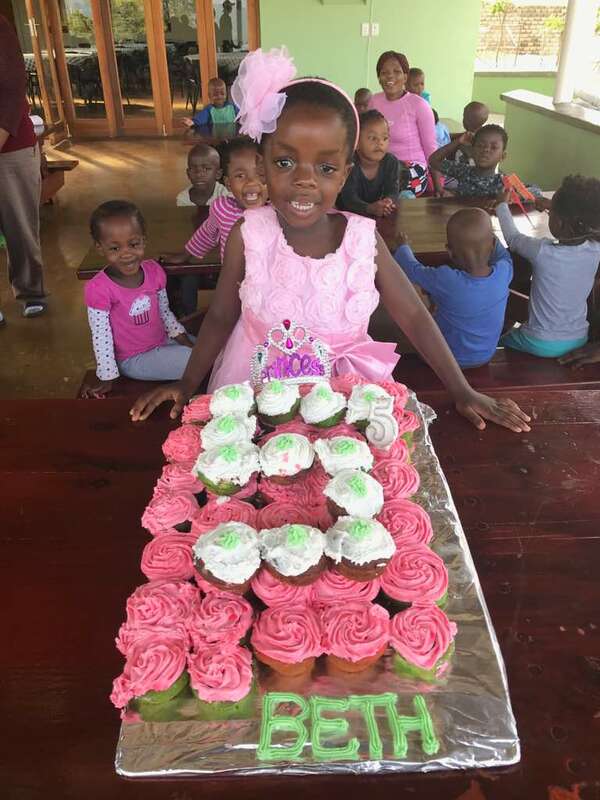 Thank you to each and every one of you who supports Heart for Africa and the work we are doing to love these children back to life and prepare them to be the future of the Kingdom of Swaziland and the Kingdom of God. 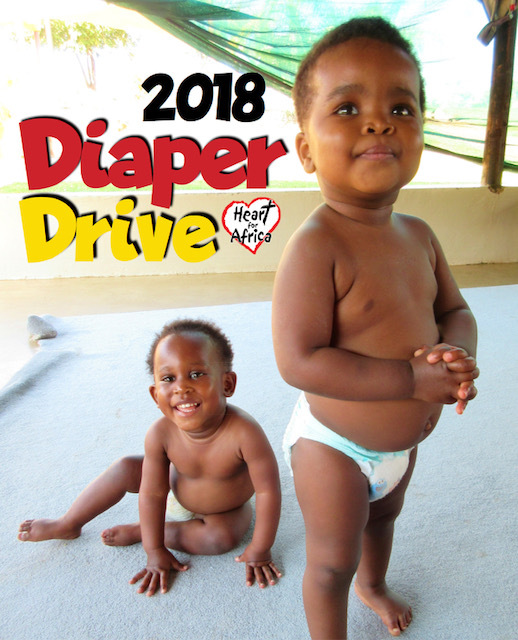 Thank you also to the 65 people who have already purchased diapers and wipes. In one short week we have received 272 boxes or 18% of what we need for the next year! I encourage you to go to http://bit.ly/hfadiaperdrive today and purchase much needed diapers and wipes for our babies. Live from Swaziland … my heart is full. Many of you have heard me say that our children live in a children’s home, not an orphanage and that we are a large family. One of the things that we work very hard on is helping each child find their own identity and we encourage their individualism. 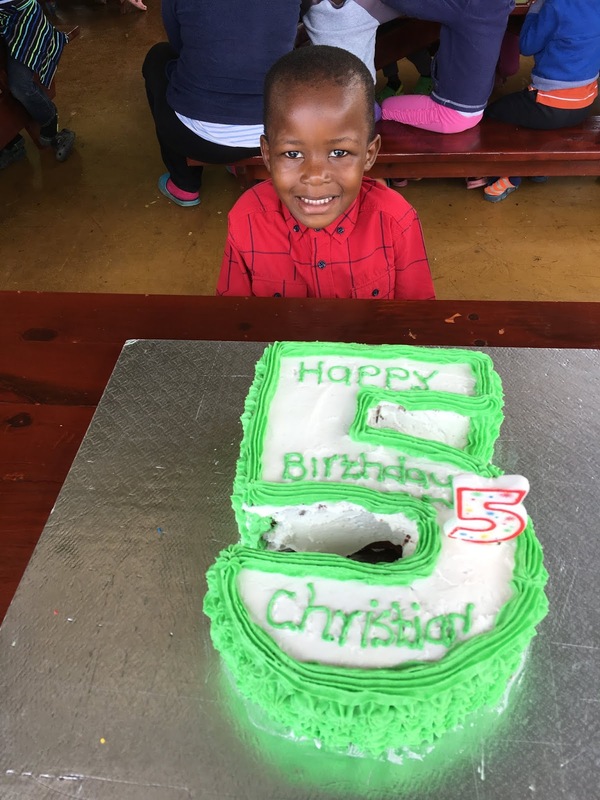 One of the ways we do that is to celebrate each child’s birthday with a cake, a gift starting on their third birthday. Our Aunties and Uncles dress each child in a very special outfit that has never been worn before, complete with shoes, and all the children celebrate that child for the whole day, announcing to EVERYONE whose birthday it is. We don’t give cake to all the kids on each birthday, but rather celebrate the day in the home where that child lives. On a child’s first birthday, there will be cake at the baby home. When a child turns two, they will likely be at the toddler home. And then when they are three, they will either be at the toddler home or up at the Emseni Campus, depending on their development. 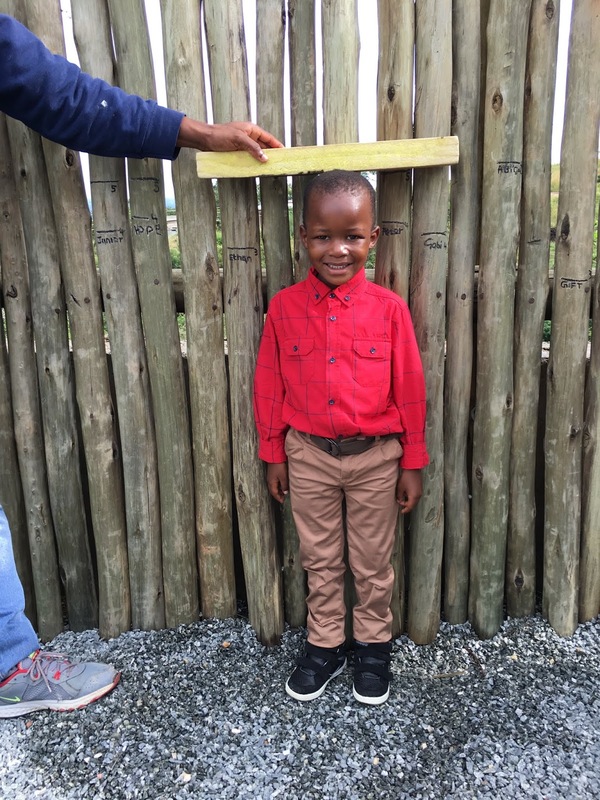 Once a child has moved to Emseni, they get the additional experience of choosing a “growth stick” where we measure them each and every year on their birthday. This was something that my parents did at our cottage each year when my cousins were there in the summer, and it was a tradition that I wanted to continue. Our children love to show visitors the stick with their name on it and how much they have grown from year to year. It’s a lot of fun, and helps create memories, and identity. Today we will celebrate a very special birthday for the Patron of our children’s home – the Inkhosikati LaMbikiza (Inkhosikati means “Royal Highness”), and she is a favored wife to King Mswati III. It was her desire to come and spend her birthday with our kids, and so plans were made, a bouncy castle was ordered and a cake is being iced as I type this blog. Typically we have Kids Club on Saturday mornings, but not today. Today the children will prepare for the Royal visit by sweeping the stairs, washing the chairs, decorating the Oasis and blowing up balloons. I LOVE that our staff are guiding our children to understand the importance of special visitors, preparing our home for special celebrations and celebrating life. If you are reading this blog early, come back later today and I will post photos of the grand celebration. Live from Swaziland … we are celebrating life. 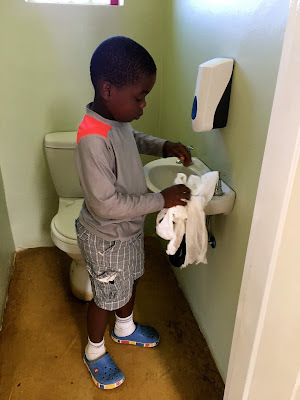 It is often said that we have built an ark here on Project Canaan, and as the waves of disease and poverty wash over the land there are 191 children who are safely on the ark. We believe that those children will be a part of the remnant who will be the future leaders of the Kingdom. We all know the story of Noah’s Ark and that the animals entered the “two by two” – we sing that with our children weekly. I must add at this time that it makes me smile that we have nine sets of twins and an additional seven sets of siblings, who came to us “two by two. Today I am writing to tell you about another kind of ark – one that has been custom designed at Khutsala Artisans and is being produced in the months to come. The entire 13 piece set is made purely of wire and glass beads and it is stunningly beautiful. The question is … would anyone want to buy a Noah’s Ark Set that is made in Swaziland/eSwatini, Africa? It took two full months to develop and perfect the animals and the ark, and we are working on making 100 sets that will arrive in the US in early September, but we think we can push and make 200 sets IF we know that people will buy them and IF we have them pre-sold. The ark itself is 15" long x 9" high. Are you interested in buying an ark, complete with two lions, two giraffes, two elephants, two crocodiles, two flamingos and two doves? The set is $270 US and comes in a gift box with the label shown below on the front. It is perfect for your children, your grandchildren, a Sunday school class, church or even a VBS. While we do not need payment until September, we do need to know if we can sell 100-200 arks. If you are interested in pre-ordering a handmade Noah’s Ark Set (or many) please go to https://heartforafrica.myshopify.com/products/noahs-ark and you can order and pay for yours today. If you would simply like to pre-order and then pay in September you cani email me directly at janine@heartforafrica.org. Your support not only directly helps us employ 100+ people in our community, but 100% of the profit goes directly back to helping us provide for the 191 children living on Project Canaan. Please share this blog and let’s get these arks sold!! Live from Swaziland ... singin' "two by two". When I was a small child I was taught to pray with my eyes closed tight and would be corrected for opening my eyes until the prayer was finished. I was to keep them shut tight, as if that act would make my prayers heard by God (but maybe it was just so that I wasn’t distracted). This week I attended two birthday parties and I will admit to opening my eyes during the time that our 40 x 2-year-old children closed their eyes, put their hands together and gave thanks for the cake that they were about to receive. At the first party for Princess I opened my eyes and peaked, and I am so glad I did because I saw little Jonathan with his hands clasped, and eyes shut so tight that there was no way of him being distracted from giving thanks. And he has a lot to give thanks for having arrived at the age of two almost dead from disease and starvation. The next birthday was Benkhosi’s, and again I peaked, only to find Benkhosi praying with one eye open. What was he looking for, I wondered? Did he think his cake might go away or that something extra special would appear? I believe in the power of prayer. Since living in Swaziland I have literally seen the lame walk, the deaf hear and the blind see. I have seen mountains moved, water come from dry land and funds provided, all in ways that defies reason. My prayer life has changed dramatically in the past few years as I now pray EXPECTING my prayers to be answered and I pray expecting to see the hand of God. Maybe that is why Benkhosi had one eye open? 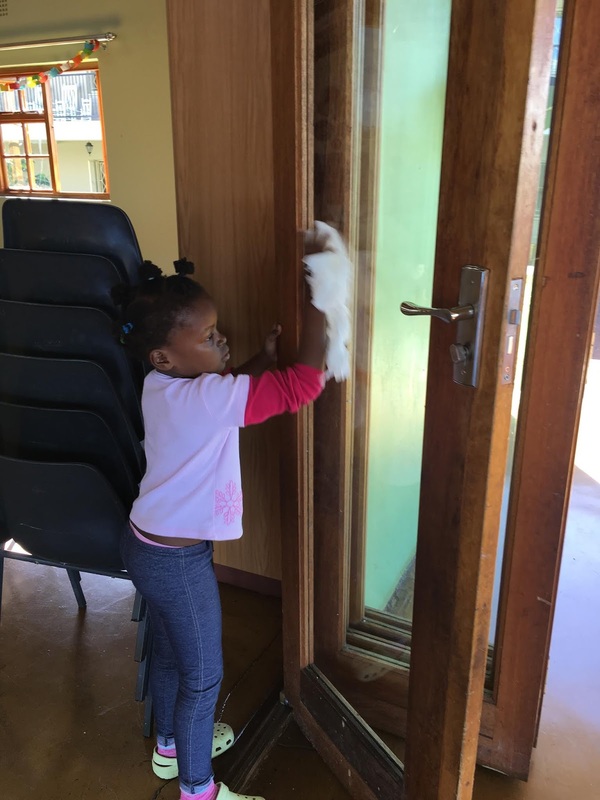 Live from Swaziland … praying with expectation today.